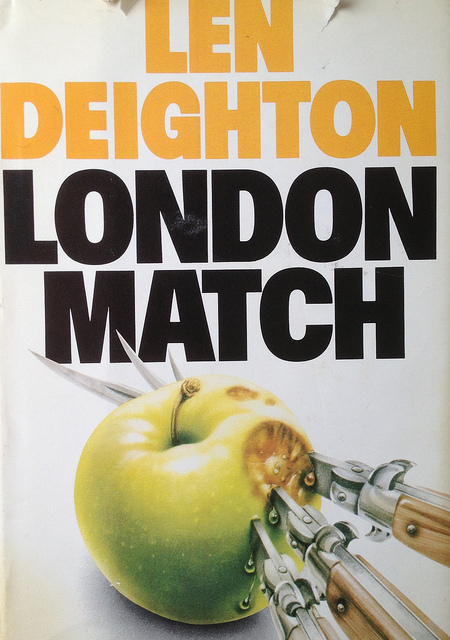 If you like Cold War British spy thrillers with some romance and character study mixed in, Deighton could be your most reliable option. He doesn’t publish any more, but you should seek him out. I’m always trolling used book stores for his stuff. Aside: By the way, I love Open Books; it’s a great used book store. I still think they have another 10 years in them before digital renders them obsolete. This is book three of the first of three trilogies referred to as the Bernard Samson trilogies. I’m immersed for so many reasons. Besides the spy angle, a cool hero, and the deftly developed surrounding characters, there’s wry hilarity and insightful social commentary. Here are Samson’s thoughts when talking to his idiot boss, Dicky, who’s having an affair with Samson’s sister-in-law, Tessa. “Is that how it happened with you and Tessa?” I said. “When was that?” Dicky getting no work done was not enough to give me a reference to the date. See? Wry hilarity, like I said. Here a quote from another one of Samson’s superiors, an American working for the Brits, who’s in some trouble. “What is their weakest point?” said Bret, speaking from behind us as if talking to himself. Bret had recovered some of his confidence by now. He had the American talent for bouncing back; all he’d needed was a hot shower, clean linen, and the sports pages of the Herald Tribune. See? Insightful social commentary, like I said. This was a solid ending to the game, set, match trilogy. We got hook, line, sinker coming up next followed by faith, hope, and charity. It’s a huge, nine volume monster, and rumor has it Tarantino wanted to take on the first trilogy as a project. That would be cool, but alas, it was 2009 when he was “mulling” that around so it’s probably dead. I’ll have to be content with the books. Oh, I am! Posted in books, tagged pop-fiction, spy on 2012/11/28 by John.